No-one ever plans to have an accident. But they normally occur at the most inconvenient times. If you have suffered substantial damage to your car through a road accident, fear not. ABCM Car Removal buys damaged cars and pays cash for them. On top of that we remove them for FREE. If you have no insurance or are left with a wrecked vehicle after a payout give us a call. We take working and non-working cars and other vehicles. It doesn’t matter if it is not road legal or is completely written off. We will still make you a cash offer and come and collect it for no cost. ABCM Car Removal pays up to $8,999 for accident damaged vehicles across Newcastle, Port Stephens, Maitland, Cessnock, the greater Hunter Region and Central Coast. 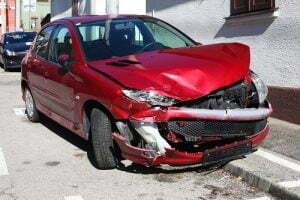 Accident vehicle removals are easily scheduled by contacting ABCM Car Removal. We know that being involved in a smash is a stressful time. Now you can have one less thing to worry about by getting rid of your wrecked car for a fair price. Need a fast removal service? We often collect on the same day you call. We also pay cash on the spot. And, best of all, the entire process is smooth and easy. You get free accident vehicle removal with instant cash in your pocket. Just think, no more ugly wrecked car out the front of your property. And all of this in the same day! Want cash? That’s exactly what you get from ABCM Car Removal. First we purchase your vehicle at a fair price. Then we salvage the vehicle for scrap metal by dismantling it and recycling the parts. We don’t throw your vehicle into a landfill where the only good it offers is taking up space and contaminating the land. Instead we recycle the vehicle and reuse or resell its parts. Our accident vehicle disposals are eco-friendly as we don’t contaminate the earth. As we operate our own wrecking yard we cut out the middle man and you gain maximum price for your scrap vehicle. We recycle your vehicle and give you top cash! Need Cash for Written-off Hyundai? Want Cash for Wrecked Honda? Whatever make, model, age or condition your vehicle is in. 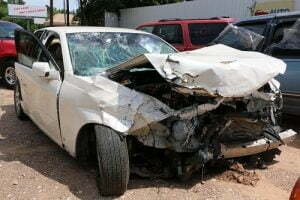 ABCM Car Removal want to buy your unwanted accident damaged vehicle for cash. We Also Buy Accident Damaged Trucks, Utes, Buses, SUVs, Vans, 4x4s and Motorbikes. We give highly competitive cash offers over the phone. Simply provide full details so our appraisers at ABCM Car Removal Newcastle can provide you with an accurate quote. Accept our offer and we’ll be there today to collect. Or if you’d prefer, we can also be reached through our contact form.